Established in 2018 to develop the sultanate’s aviation sector, Oman Aviation Group is playing a critical role in advancing the economy, tapping into an industry valued at $821 billion globally in 2018. In one year alone, Oman Aviation Group created more than 980 direct Omani jobs and contributed to supporting nearly 8,000 indirect jobs within the sultanate. These jobs support an industry that saw more than 1.3 million additional passengers and 215,000 tons more air cargo travel through Muscat alone. In addition, more than OMR100 million ($259.1 million) in economic efficiencies were directly enabled and delivered with the implementation of various initiatives including Oman Air’s transformation strategy. 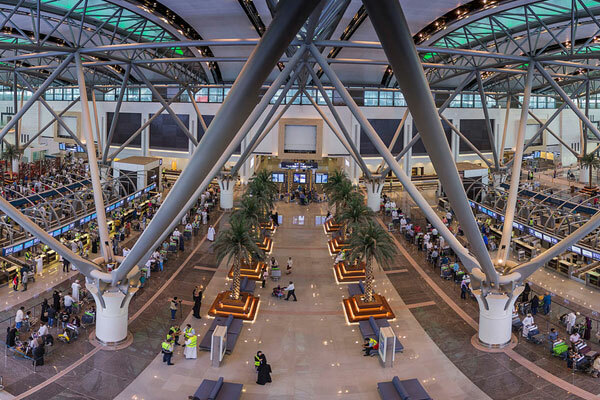 The company has made significant strides towards its 2030 goals, exceeding many targets including the ranking of Muscat International Airport as one of the top 18 airports around the world. Oman Aviation Group continues to contribute to the growth of Oman’s transportation sector through a variety of avenues including the opening of the new Muscat and Duqm airports and two new air cargo terminals. The organisation is maintaining a steadfast focus on bridging airlines, airports and aviation services together, positioning itself as leader within an integrated aviation sector across the Mena region. Today, Oman Aviation Group is instrumental in continuing to empower growth as well as developing a number of both economic and social benefits. Going beyond simple connectivity, the group facilitates other sectors through an ecosystem of services and as a result continues to make a significant contribution by effectively and efficiently conducting and managing government investments in infrastructures and services across the civil aviation sector. At the same time, it is also developing Oman as a hub for businesses and logistics through its global transportation network, in addition to positioning the country itself as a world-class destination for travellers from across the globe. The group has also partnered with tourism and logistics’ businesses around the country to drive holistic development of the sultanate’s tourism and transport industries. Aligning aviation strategies and companies within the tourism industry, the group remains on track to achieve the National Tourism Strategy targets. The organisation is also in the developmental stages of creating ‘airport cities’ which are essentially tax-free zones within proximity of airports in Oman. These developments are aimed to promote growth, enhance foreign investment, boost revenues and increase trade.